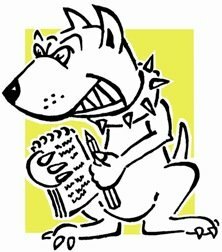 LOBBYDOG: Will there be a Tory backlash to boundary equalisation? Will there be a Tory backlash to boundary equalisation? Coverage of the Democratic Audit report on constituency boundary equalisation yesterday focussed on how Lib Dems will be hit. Apart from a passing mention of Priti Patel, there was little on other Tory MPs who might suffer. I haven’t had a chance to look at the complete data set but so far there seem to be a whole bunch of the new Tory intake that will be adversely affected. Some are those who won constituencies formed at the last election like Pauline Latham in Mid Derbyshire. But others are MPs who fought hard battles to win key seats from Labour. These include the likes of Anna Soubry in Broxtowe, Karen Bradley in Staffordshire Moorlands (pictured), Mark Spencer in Sherwood, Nigel Mills in Amber Valley, Nicky Morgan in Loughborough and Andrew Bridgen in North West Leicestershire. If the review pans out in the way Democratic Audit suggests, all of these will either have their seat effectively scrapped or face a much tougher Labour challenge as a result. “If” is the operative word of course, given the speculative nature of yesterday’s report. But I wonder if Cameron and co have factored any sort of backlash into their plans? The boundaries in the review are highly speculative and seem more like an attempt to stir up trouble than a genuine prediction, so I'm hoping Conservative and LibDem MPs will be sensible enough to wait until September for the only review that actually counts. I think it would be a wonderful irony if the equalisation backfired and the Tories lose a bunch of seats - we'll see how supportive they are of the whole thing if things begin to look dangerous for them. This has a long way to run and could lead to some interesting consequences at the next General Election as the parties - and Coalition partners - try to sort out who should fight which seat.